After over a year plagued with funding woes and staffing shuffles, Los Angeles’ contemporary art museum needed a radical new direction for its institution and an innovative new leader who bucks the traditional role of museums everywhere. They got one in Jeffrey Deitch. 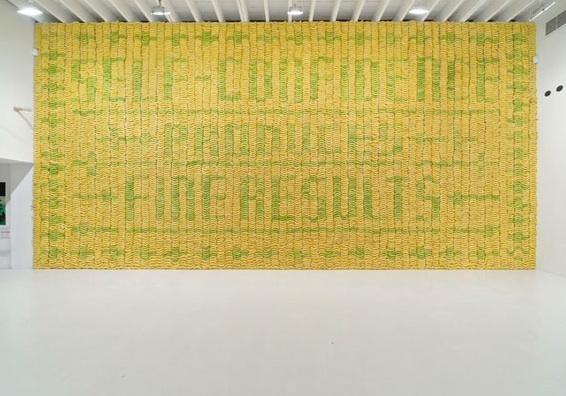 And as a bonus, they’ll likely be getting tons of publicity for tapping a gallerist who makes tens of millions of dollars to run L.A.’s public art hub. In a decision lead by founding chairman and philanthropist Eli Broad, whose $30 million donation helped keep the museum afloat last year, MOCA confirmed today that the rumors which floated through the L.A. art world over the weekend were true. 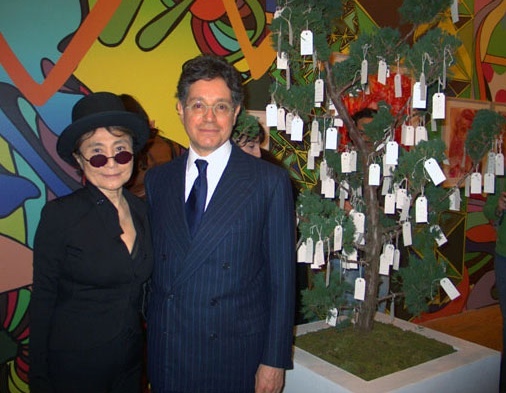 Its new director, Deitch, is the flashy, charismatic art collector behind the legendary New York gallery Deitch Projects (top, with Yoko Ono). Deitch, who opened his gallery in 1996, has a keen eye for pluckingunderground artists from oblivion and propelling them to fame–he made his mark championing young artists Keith Haring and Jeff Koons and has been creditedwith legitimizing street artists like Steve Powers and Ryan McGinness.He’s also famous for choregraphing happenings thatmove far beyond bad wine and cheese cubes. A Deitch opening oftenclassifies as downright spectacle: Stefan Sagmeister’s wall of slowly-rotting bananas, a debut of Bjørk’s Wanderlust video, a massive DIY film set by Michel Gondry where visitors could make their own films a la the film Be Kind Rewind, and the annual Art Parade,which sets loose hundreds of pastie and pantyhose-wearing performanceartists on the streets of Manhattan. Most recently Deitch is makingheadlines for a reported upcoming show where actor James Franco will be presenting artworks as his angsty General Hospital artist character. 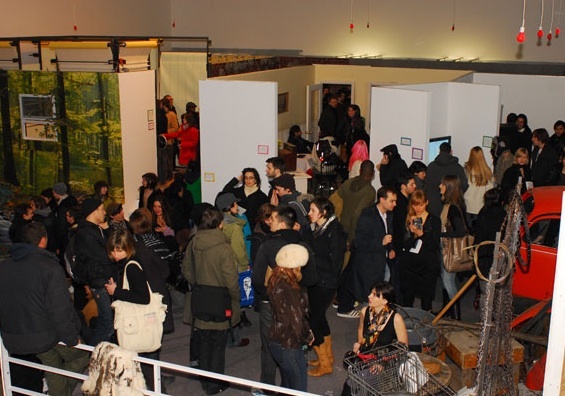 Hiring a commercially-oriented gallerist is a bold departure forthe museum–or any museum. But for a museum so plagued with financialwoes, it’s not a bad idea: In addition to his art history degree,Deitch holds an MBA from Harvard Business School and began his careercounseling Citibank execs on art purchases. 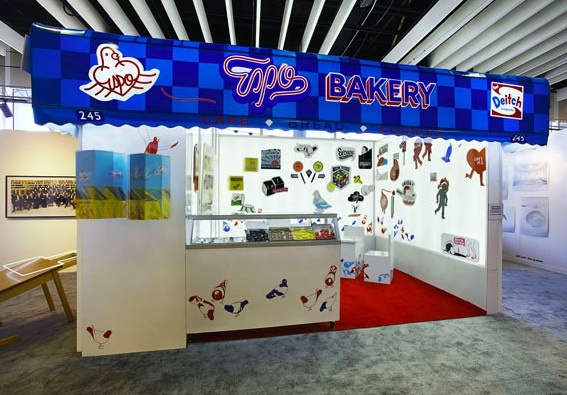 Plus MOCA would also behiring an art world celebrity with deep, powerful contacts from theindustry whose very presence would draw attention to the museumexperience in new and innovative ways. For Deitch, dipping his toesinto L.A.’s waters effectively declares him the spiritual leaderfor a thriving local art scene filled with the skateboarder-video artist-musician hybrids that he’s historically liked. According to a Los Angeles Timesarticle, MOCA reportedly interviewed 13 people for the position, including Lisa Phillips, director of the New Museum in New York, andformer Tate Modern director Lars Nittve, now at Stockholm’s ModernaMuseet. Jerry Saltz has more commentary at New York Magazine: This is the first time a collector has been named head of a U.S. art museum, a decision that is none-too-pleasing for many purists in the art world.